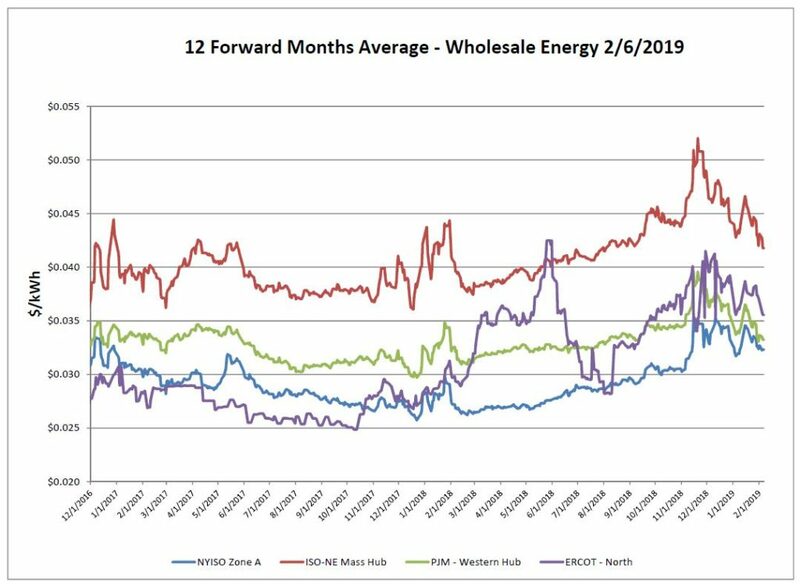 The general direction of the forward electric markets is trending down. 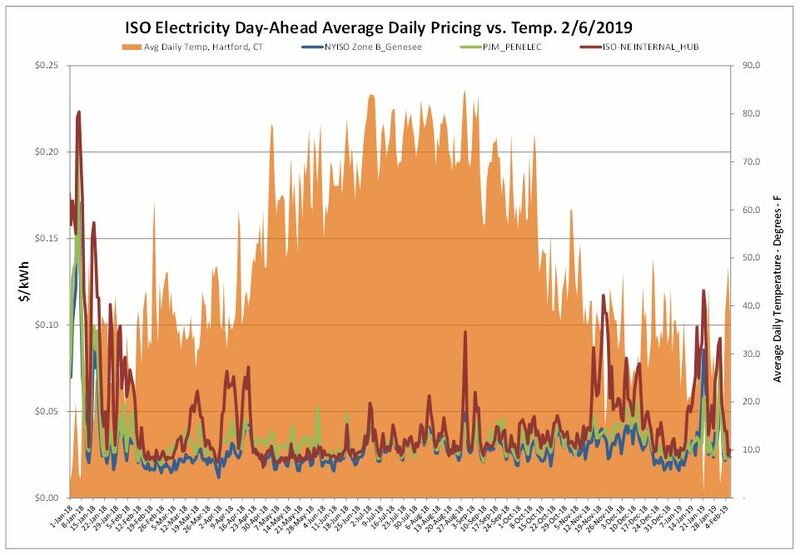 Attractive index/variable pricing in western NY especially, due to favorable capacity prices driving the overall cost down. ISO-NE performed well during the most recent cold spell relative to previous years. June 1st new capacity prices will go into effect, providing some relief from the elevated prices. The CONUS is now through the historically coldest time of the year. Average daily temperatures have begun to trend up, however any below normal temperatures throughout the coming weeks will likely still provide volatility on the daily market. 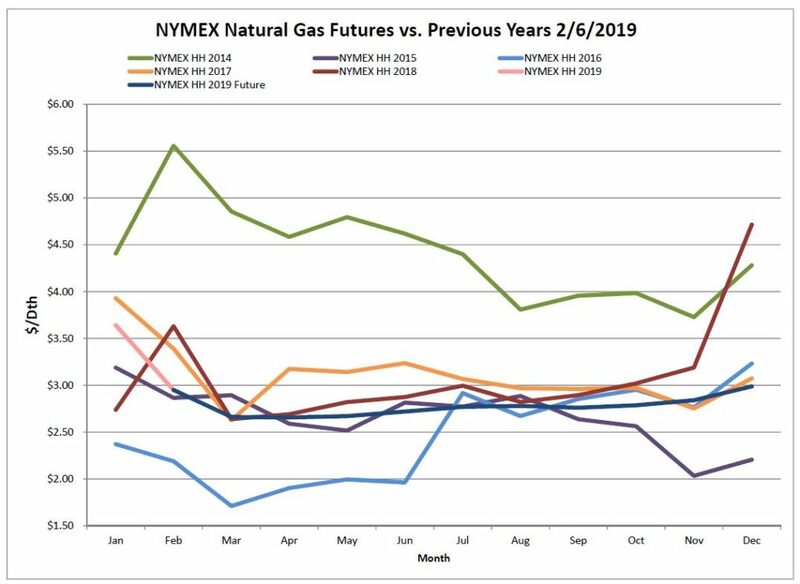 Natural gas has remained relatively stable with no extreme swings. NYMEX futures trended down over the report week. The EIA reported a net withdrawal of 237 Bcf. 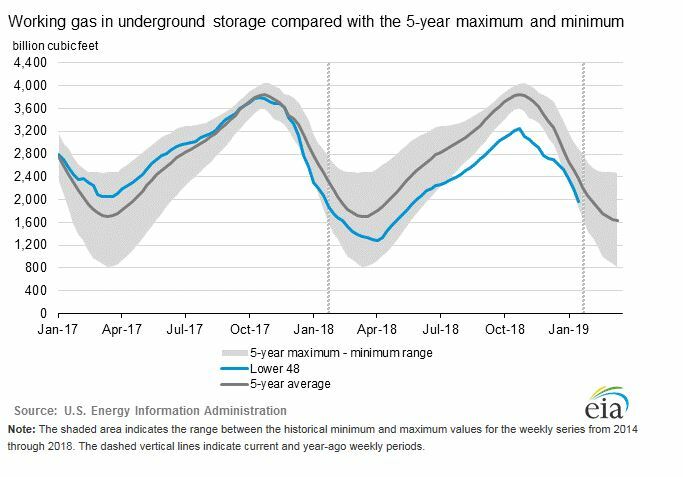 As of Friday, February 1, 2019, working gas in storage was 1,960 Bcf. The market was expecting a withdrawal closer to 250 Bcf, but regardless the net decrease is well above last year’s 116 Bcf withdrawal, as well as the 5-year average of -150 Bcf. Next week will likely be a lower net change due to the milder weather over the previous week. 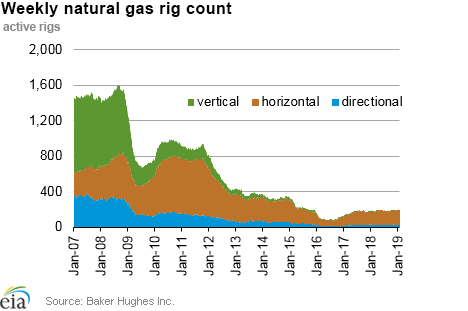 The Baker Hughes exploration gas rig count decreased 3 rigs from last week for a total of 195 rigs. This is 11 more rigs than were in operation at this time one year ago when there were 184 rigs. 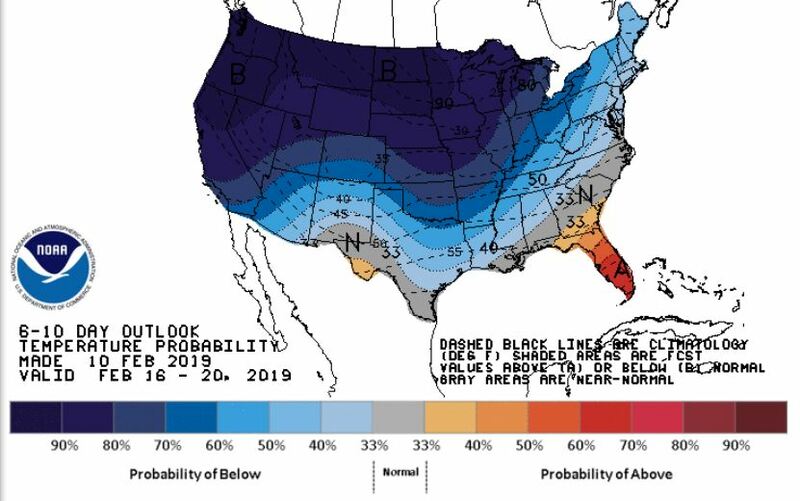 Colder-than-normal temperatures return later in the February forecasts with the exception of a few Southeastern states. A reminder that winter is not over yet. As Maine regulators are deciding whether to approve the construction of a $1 billion transmission line across much of western Maine, the Canadian hydroelectric utility poised to make billions of dollars from the project has been absent from the process.